What does BYR stand for? What does BYR mean? This page is about the various possible meanings of the acronym, abbreviation, shorthand or slang term: BYR. 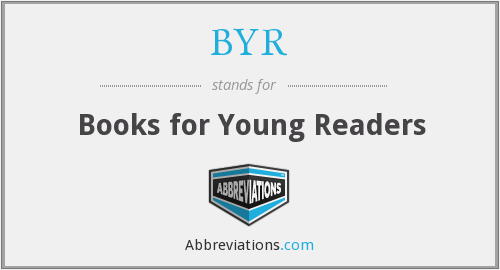 The abbreviation Byr means "billion years". A closely related abbreviation is bya "billion years ago". Byr was formerly used in English-language geology and astronomy as a unit of one billion years. Today, the term gigaannum is also used, but Gy or Gyr are still sometimes used in English-language works. Astronomers use Gyr or Gy as an abbreviation for gigayear. Specifically, one Gyr is equal to 10⁹ years. Because a billion means 1000 million in some countries but can mean a million million in others its use is deprecated in favour of giga- which unambiguously means 10⁹ and annum which for precision may be qualified by, etc. Couldn't find the full form or full meaning of BYR? Know what is BYR? Got another good explanation for BYR? Don't keep it to yourself! "BYR." Abbreviations.com. STANDS4 LLC, 2019. Web. 20 Apr. 2019. <https://www.abbreviations.com/BYR>.